It’s that secret ingredient that makes your cooking sing. Our Cultured Style Unsalted Butter is made for chefs and those that love to cook. 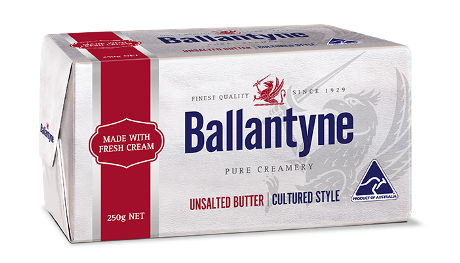 It’s produced in the traditional manner here in Australia, using cream to develop its characteristically clean, full-bodied taste. Making it perfect for cooking and baking. Put simply your cakes will be tastier and your meals more delicious.